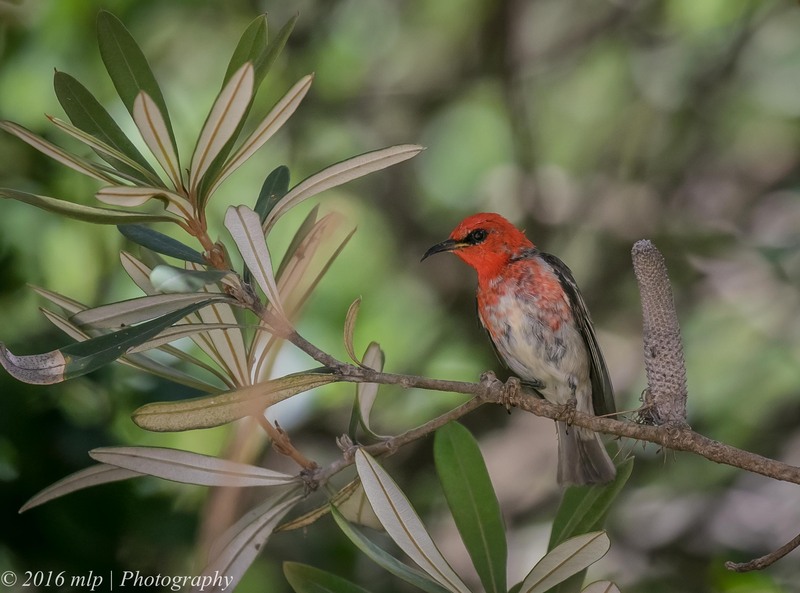 I have only seen a Scarlet Honeyeater once before and that was on a previous visit to Mallacoota a few years ago. 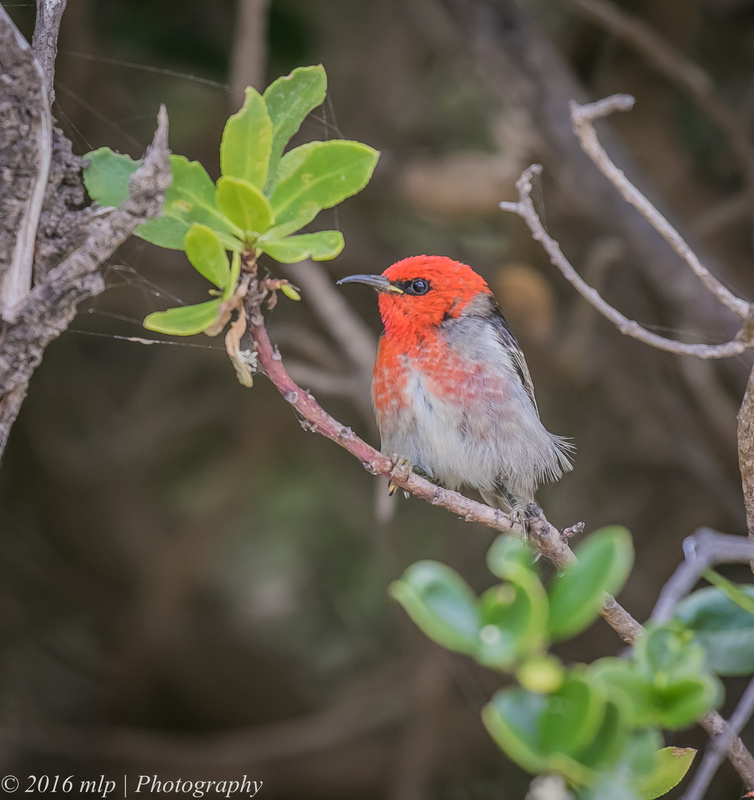 On the latest trip to Mallacoota I saw many of them in a number of locations. 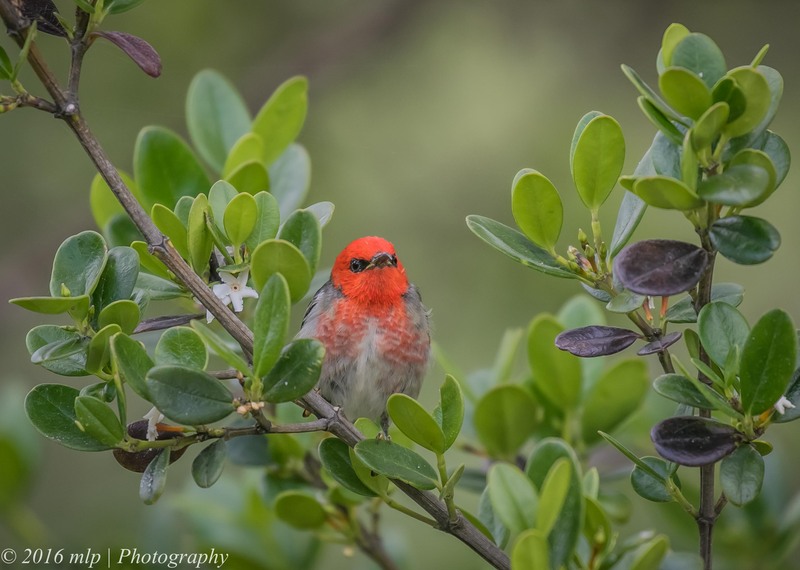 After so much spring rain the local plants and trees are flowering and with the abundance of nectar and insects this has brought down many birds from the north. 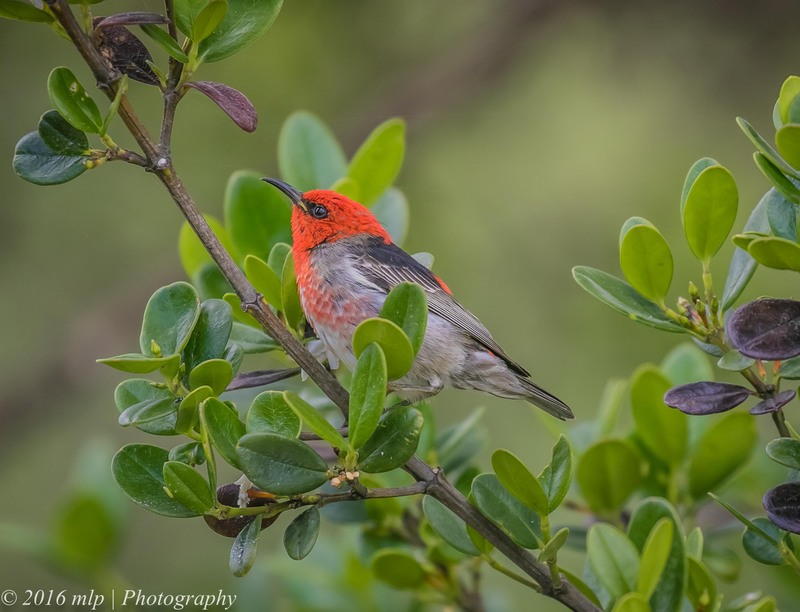 The Scarlet Honeyeater is a stunning tiny bird that rarely stays still and is often fighting with other local honeyeaters particularly the New Holland Honeyeaters. 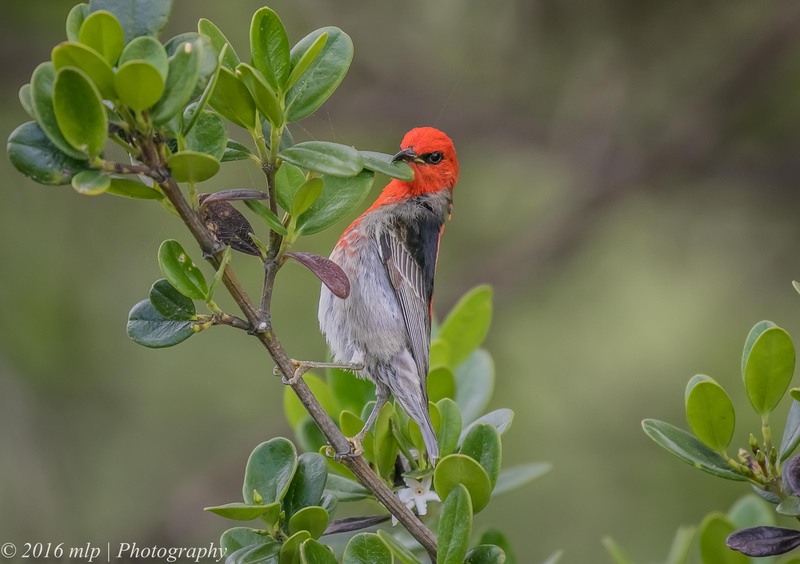 This entry was posted in Birds, Victoria and tagged Australia, Australian Birds, Bird Photography, Mallacoota, Nature Photography, Photography, Scarlet Honeyeater, Victoria. Bookmark the permalink. 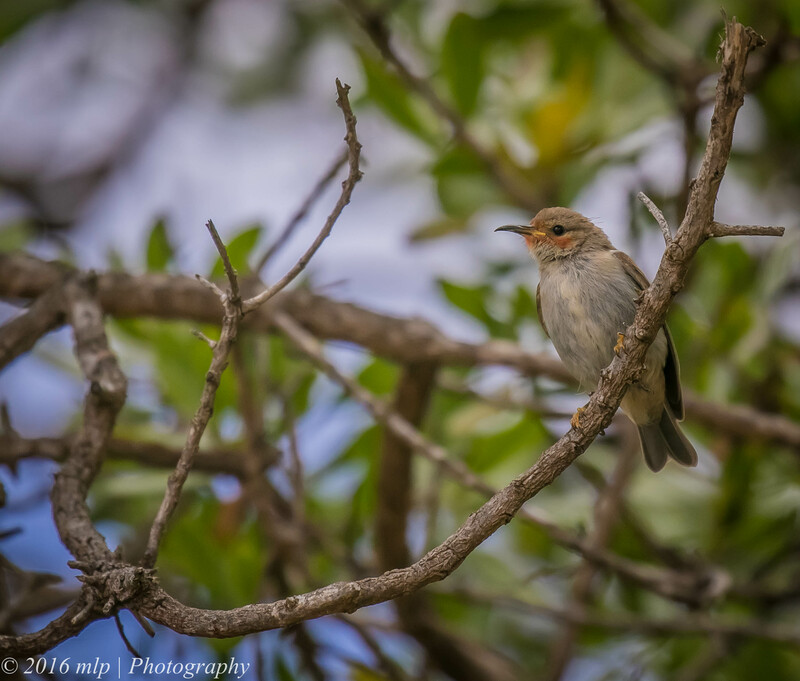 Once again, stunning photos! Nice!